Veganuary, know much about it? Here’s how you can embrace 2019’s plant-based food trend at London Designer Outlet (LDO) and discover new tastes. Veganuary, established in 2014, is a charity inspiring and supporting people to try vegan for January and throughout the rest of the year. The demand for vegan dishes is rapidly expanding and with many of LDO’s cafes and restaurants offering meat and dairy free vegan menus there’s lots to discover when eating out at LDO. Start the day with breakfast at Pret, the Acai Almond Breakfast Bowl is full of delicious layers of fresh banana, gluten-free granola and acai berry puree, topped with shredded apple, juicy pomegranate seeds and almond butter. 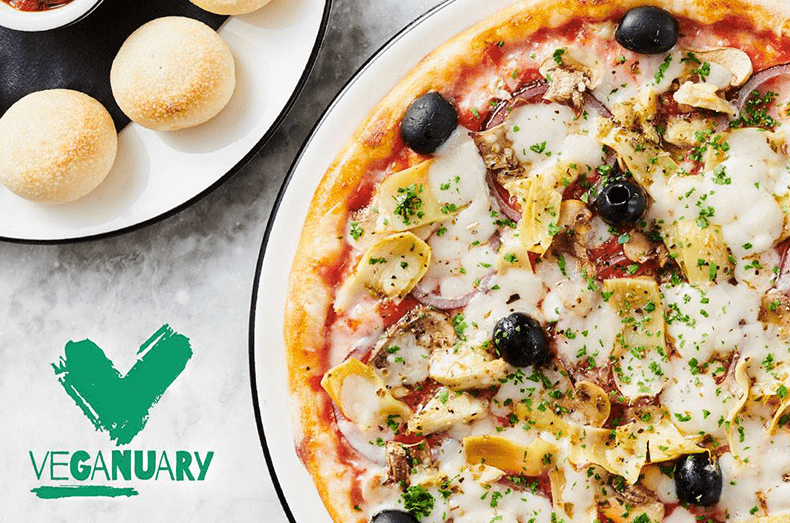 For lunch, head to Pizza Express, we’re sure their vegan menu will surprise. Lots of choice and the menu includes our favourite starter, dough balls, served with pestorissa, a harissa spiced tomato dip. The ‘Leggera Peperonata’ looks temping too, a tomato based pasta that packs a punch for under 600 calories! Look out for items marked ‘Ve’ on their menu. Finish the day at Cabana, enjoy Rio street food with a vegan twist, think guacamole corn chips and chimichurri grilled cauliflower – making you hungry? The best bit, join the Cabana Club and save 50% off your food bill throughout January*. Discover meat and dairy free, vegan menus in the following LDO restaurants and cafes: Cabana, Costa, Frankie & Benny’s, Handmade Burger Co, Las Iguanas, Nando’s, Ping Pong, Pizza Express, Pret a Manger, Starbucks, Subway, TGI Friday’s, Wagamama and Zizzi. Speak to staff at the individual restaurants for further information. Get inspired and find out more about Veganuary. *Join the Cabana Club and save 50% off every day in January from the 7th – 31st. See in-store for more details.